Does your kid like video games? Heck, do you like video games? Well, you can earn a very good living in the gaming business. 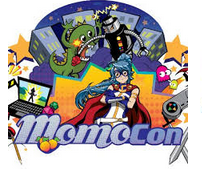 And the World Congress Center this weekend will be wide open for so many job opportunities at this year’s MomoCon Convention. – $96,000 is the average compensation package.